Congrats, looks to be a quality build. Let us know how the water temps work out with that radiator set up. Very fortunate that when the unobtainable becomes yours. Would love to know more about the build.... Like what swing arm is that and what was needed to adapt it? 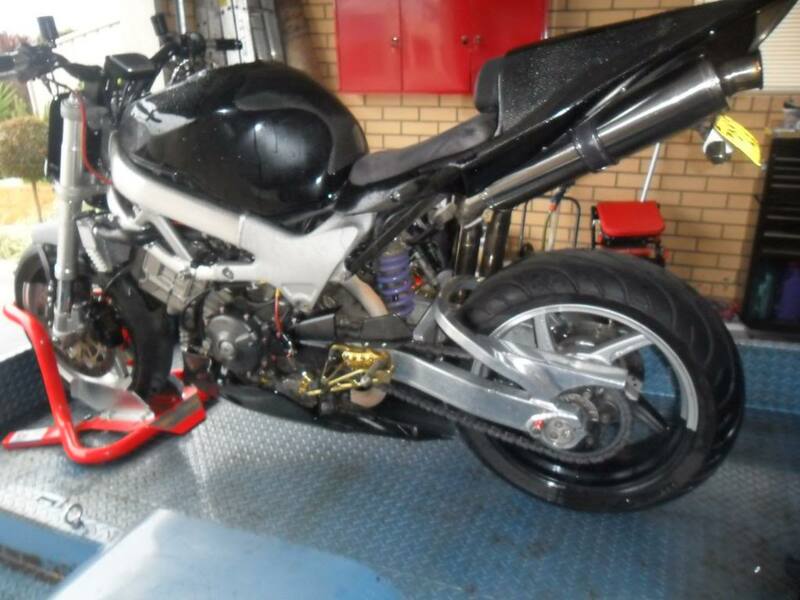 That's very interesting mate, I wonder how they fit the Kawasaki swingarm on, what it took to make this. That's the first time I see this setup. Can you measure the distance from the pivot to the wheel axle, in comparison to your other VTR? 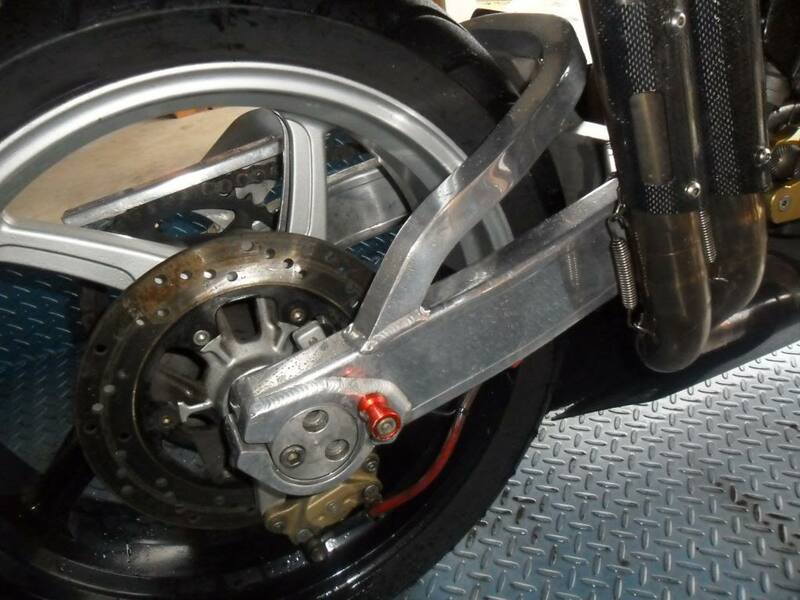 Now I'm very curious on the length of this swingarm. Congrats on the new toy, I bet yah you going to enjoy this one allot I reckon. nice bike! those look like nice high, comfortable handlebars. What are those two black "pods" sticking up above the handles? Brake/clutch fluid cups, my best guess. Nice bike erno. Is that your 2nd vtr or did you sell yours? That bike has been on this forum. I remember because of the underseat exhaust. He said it was very difficult. I have always wanted one of those. 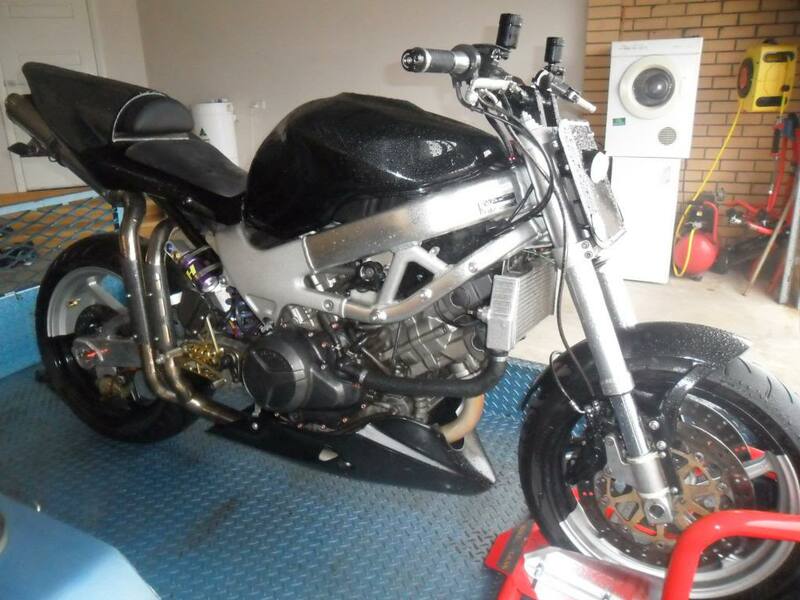 And yes still have the other bike,although the wifes not happy about it. 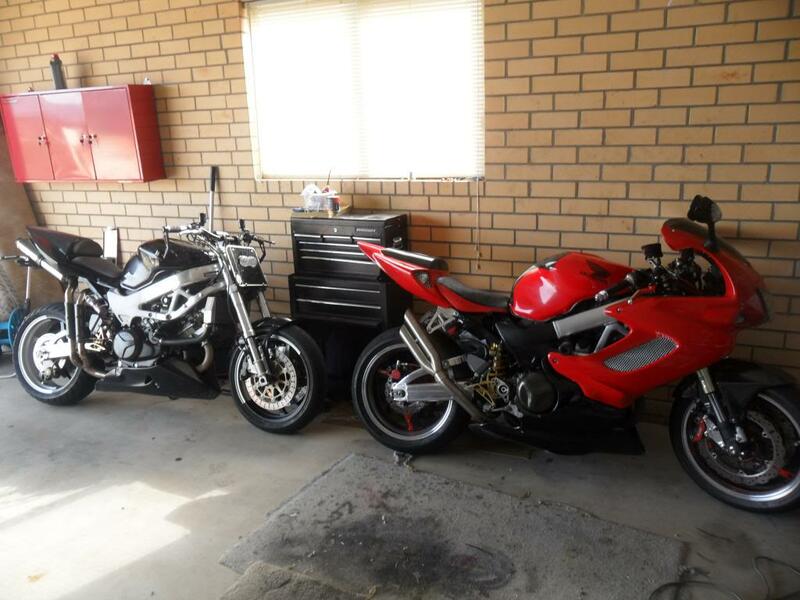 Looking at fitting the mario fairing to my red hawk,wont be for awhile. Last edited by erno; 08-25-2013 at 01:59 AM. That's one cool bike mate!!!! Would love to know how he got the exhaust like that? What is the tail and rear subframe from? Knew I recognized it.... nice catch! It looks like it only weighs 100kg. The front radiator looks more functional, and you can see more of the engine. The fighters I see with the side rads just look like their fairings fell off. Do the heat shields work on the pipes or does it toast your right leg? I like the black metalflake paint too! LOL on the paint ,its actually wet from the rain . Dude, that's an awesome Streetfightered Hawk you got there. Very cool. that 'fighter is bitchen! diggin' the exhaust on the red one, cheers!